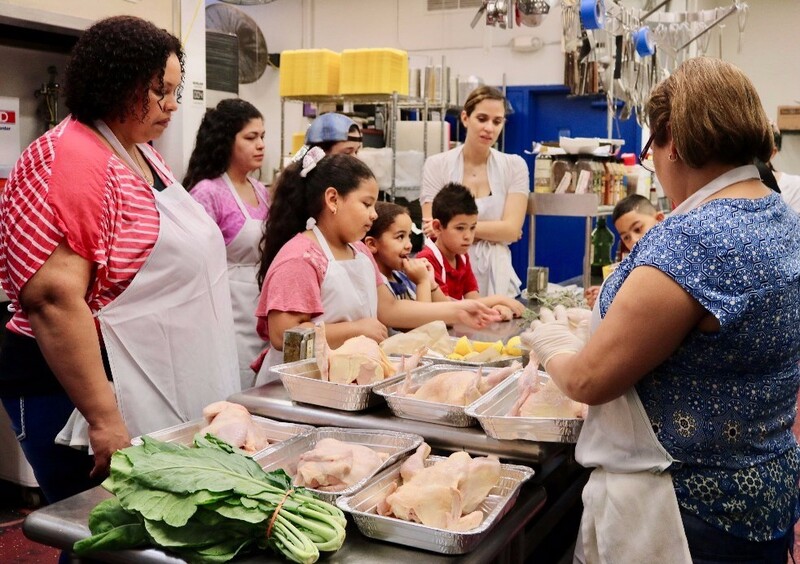 View photos from last week's Spring Cooking Club Graduation Dinner Demonstration. 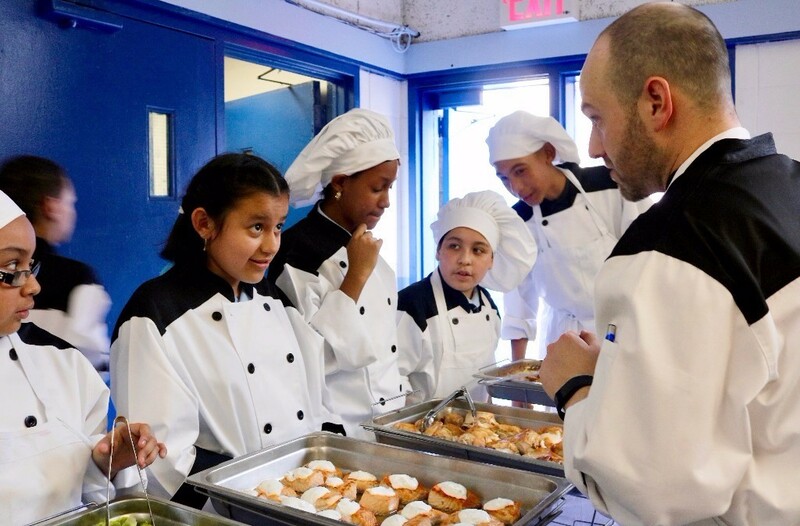 All the food served was 100% prepared and cooked by the Cooking Club graduates. This month's recipe was also featured at the Cooking Club Demonstration Dinner. Bon Appétit! 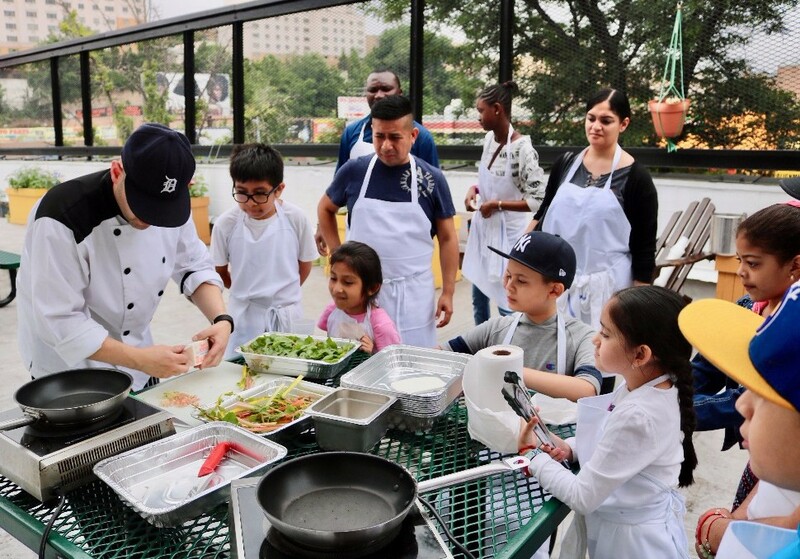 Our 10 a.m. class was held on our rooftop garden, where we grilled whole chickens on the barbeque and cooked swiss chard from the garden. Due to inclement weather our 1 p.m. cooking class was held indoors. 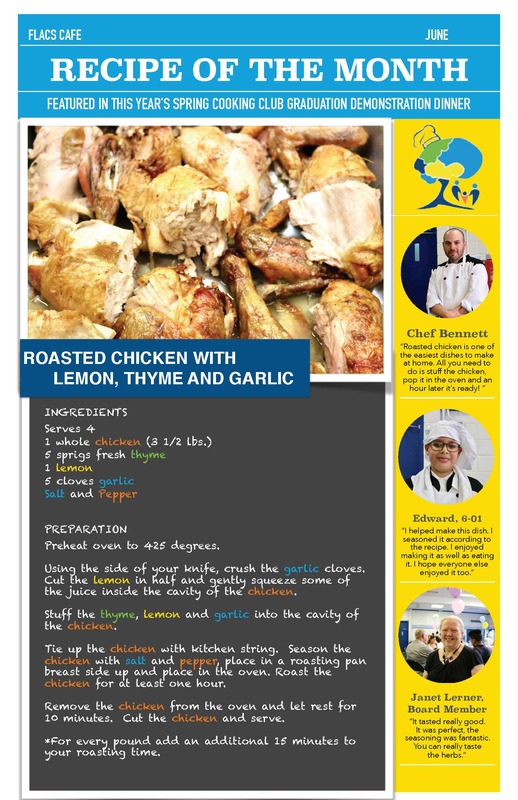 The recipe taught in class is June's recipe of the month. 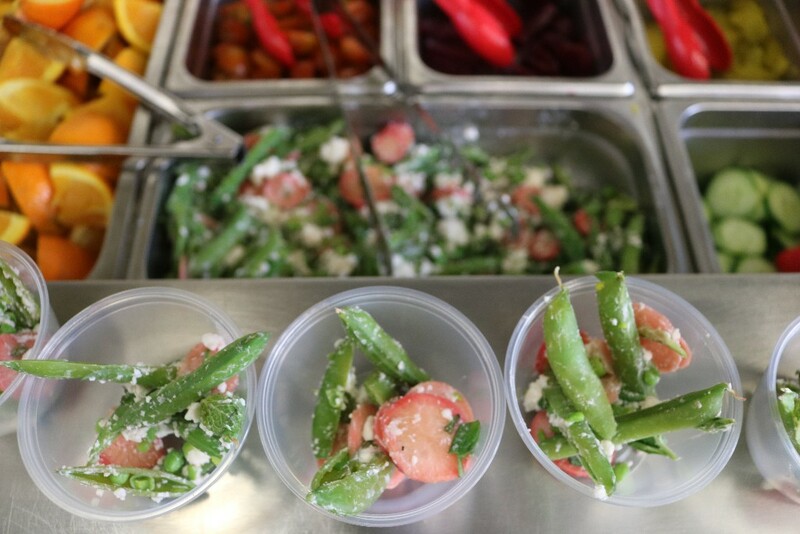 Help us upgrade our kitchen and extend our program to our sister schools; so we can continue to make healthy lunches and provide our students with more wholesome food. Any and every contribution is welcome and appreciated. Thank you for your ongoing support. Click here to donate.